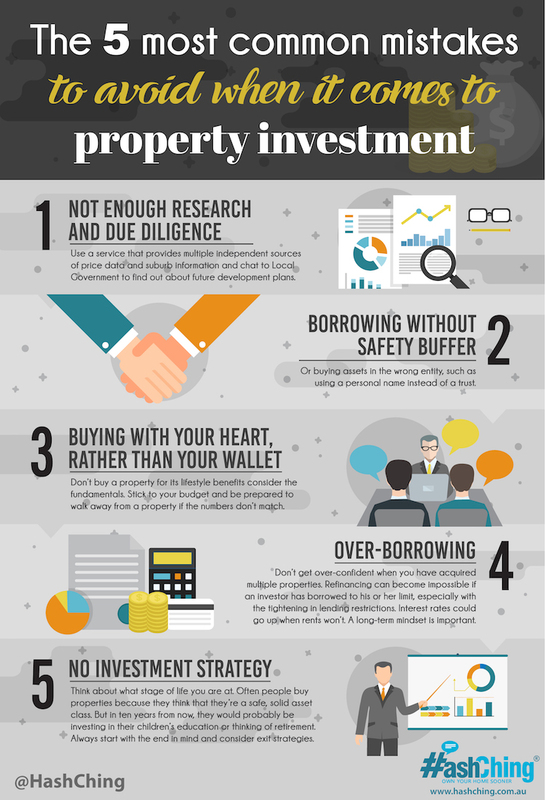 Many property investors start out, hoping to win big with real estate, but very few will ever get past their first investment. Use a service that provides multiple independent sources of price data and suburb information and chat to Local Government to find out about future development plans. Or buying assets in the wrong entity, such as using their personal name instead of a trust. Don’t buy a property for its lifestyle benefits rather than its fundamentals. Stick to your budget and be prepared to walk away from a property if the numbers don’t match. Don’t get over-confident when you have acquired multiple properties. Refinancing can become impossible if an investor has borrowed to his or her limit, especially with the tightening in lending restrictions. Interest rates could go up when rents won’t. A long-term mindset is important. Think about what stage of life you are at. Often people buy properties because they think that they’re a safe, solid asset class. But in ten years from now, they would probably be investing in their children’s education or thinking of retirement. Always start with the end in mind and consider exit strategies.